Gardeners new to Northern New Mexico can relate to that observation as they adapt to working with intense sun, alkaline soils, dry climate and high altitude. We’ve covered these topics in the “How To” section of this website, so newcomers can start by learning about working with local soils, mulching, watering wisely and fertilizing. If you’re new to gardening in general, click here for a pdf of Lynn Payne’s workshop hand-out Payne’s Nursery-Gardening for Beginners. This section will be expanded over time, so check back now and then for more advice for new residents. 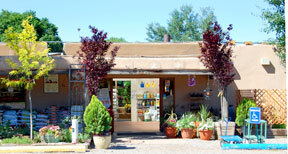 Of course, in the mean time, bring your questions to the professionals at either of our Garden Centers.